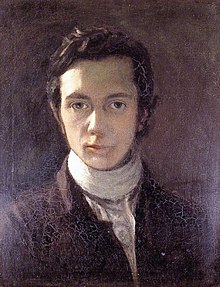 William Hazlitt (10 April 1778 – 18 September 1830) was an English writer remembered for his humanistic essays and literary criticism. He is sometimes esteemed the greatest English literary critic after Samuel Johnson. The slaves of power mind the cause they have to serve, because their own interest is concerned; but the friends of liberty always sacrifice their cause, which is only the cause of humanity, to their own spleen, vanity, and self-opinion. A scholar is like a book written in a dead language — it is not every one that can read in it. Man is a make-believe animal — he is never so truly himself as when he is acting a part. Belief is with them mechanical, voluntary: they believe what they are paid for — they swear to that which turns to account. Do you suppose, that after years spent in this manner, they have any feeling left answering to the difference between truth and falsehood? Well, I've had a happy life. There is a natural tendency in sects to narrow the mind. The extreme stress laid upon differences of minor importance, to the neglect of more general truths and broader views of things, gives an inverted bias to the understanding; and this bias is continually increased by the eagerness of controversy, and captious hostility to the prevailing system. A party-feeling of this kind once formed will insensibly communicate itself to other topics; and will be too apt to lead its votaries to a contempt for the opinions of others, a jealousy of every difference of sentiment, and a disposition to arrogate all sound principle as well as understanding to themselves, and those who think with them. We can readily conceive how such persons, from fixing too high a value on the practical pledge which they have given of the independence and sincerity of their opinions, come at last to entertain a suspicion of every one else as acting under the shackles of prejudice or the mask of hypocrisy. All those who have not given in their unqualified protest against received doctrines and established authority, are supposed to labour under an acknowledged incapacity to form a rational determination on any subject whatever. Any argument, not having the presumption of singularity in its favour, is immediately set aside as nugatory. There is, however, no prejudice so strong as that which arises from a fancied exemption from all prejudice. For this last implies not only the practical conviction that it is right, but the theoretical assumption that it cannot be wrong. From considering all objections as in this manner "null and void,” the mind becomes so thoroughly satisfied with its own conclusions, as to render any farther examination of them superfluous, and confounds its exclusive pretensions to reason with the absolute possession of it. "On the Tendency of Sects"
The poetical impression of any object is that uneasy, exquisite sense of beauty or power that cannot be contained within itself; that is impatient of all limit; that (as flame bends to flame) strives to link itself to some other image of kindred beauty or grandeur; to enshrine itself, as it were, in the highest forms of fancy, and to relieve the aching sense of pleasure by expressing it in the boldest manner, and by the most striking examples of the same quality in other instances. I have a hatred of tyranny, and a contempt for its tools; and this feeling I have expressed as often and as strongly as I could. I am no politician, and still less can I be said to be a party-man : I have a hatred of tyranny, and a contempt for its tools; and this feeling I have expressed as often and as strongly as I could. I cannot sit quietly down under the claims of barefaced power, and have tried to expose the little arts of sophistry by which they are defended. I have no mind to have my person made a property of, nor my understanding made a dupe of. I deny that liberty and slavery are convertible terms, that right and wrong, truth and falsehood, plenty and famine, the comforts or wretchedness of a people, are matters of perfect indifference. That is all I know of the matter; but on these points I am likely to remain incorrigible, in spite of any arguments that I have seen used to the contrary. It needs no sagacity to discover that two and two make four; but to persist in maintaining this obvious position, if all the fashion, authority, hypocrisy, and venality of mankind were arrayed against it, would require a considerable effort of personal courage, and would soon leave a man in a very formidable minority. "On the Pleasure of Painting"
First impressions are often the truest, as we find (not unfrequently) to our cost when we have been wheedled out of them by plausible professions or actions. A man's look is the work of years, it is stamped on his countenance by the events of his whole life, nay, more, by the hand of nature, and it is not to be got rid of easily. "On the Knowledge of Character"
One has no notion of him as making use of a fine pen, but a great mutton-fist; his style stuns readers...He is too much for any single newspaper antagonist; "lays waste" a city orator or Member of Parliament, and bears hard upon the government itself. He is kind of fourth estate in the politics of the country. "On the Character of Cobbett"
Scholars, like princes, may learn something by being incognito. Yet we see those who cannot go into a bookseller's shop, or bear to be five minutes in a stage-coach, without letting you know who they are. They carry their reputation about with them as the snail does its shell, and sit under its canopy, like the lady in the lobster. I cannot understand this at all. What is the use of a man's always revolving round his own little circle? He must, one should think, be tired of it himself, as well as tire other people. "On People With One Idea"
"On the Ignorance of the Learned"
Danger is a good teacher, and makes apt scholars. So are disgrace, defeat, exposure to immediate scorn and laughter. There is no opportunity in such cases for self-delusion, no idling time away, no being off your guard (or you must take the consequences) — neither is there any room for humour or caprice or prejudice. What I mean by living to one's-self is living in the world, as in it, not of it: it is as if no one know there was such a person, and you wished no one to know it: it is to be a silent spectator of the mighty scene of things, not an object of attention or curiosity in it; to take a thoughtful, anxious interest in what is passing in the world, but not to feel the slightest inclination to make or meddle with it. Thought depends on the habitual exercise of the speculative faculties; action, on the determination of the will. The one assigns reasons for things, the other puts causes into act. … Such is the effeminacy of the speculative and philosophical temperament, compared with the promptness and vigour of the practical! … Reasoners in general are undecided, wavering, and sceptical, or yield at last to the weakest motive as most congenial to their feeble habit of soul. The great requisite … for the prosperous management of ordinary business is the want of imagination. It [will-making] is the latest opportunity we have of exercising the natural perversity of the disposition … This last act of our lives seldom belies the former tenor of them for stupidity, caprice, and unmeaning spite. All that we seem to think of is to manage matters so (in settling accounts with those who are so unmannerly as to survive us) as to do as little good, and to plague and disappoint as many people, as possible. "On Certain Inconsistencies in Sir Joshua Reynolds' Discourses"
Of the two classes of people, I hardly know which is to be regarded with most distaste, the vulgar aping the genteel, or the genteel constantly sneering at and endeavouring to distinguish themselves from the vulgar. … True worth does not exult in the faults and deficiencies of others; as true refinement turns away from grossness and deformity, instead of being tempted to indulge in an unmanly triumph over it. … Real power, real excellence, does not seek for a foil in inferiority; nor fear contamination from coming in contact with that which is coarse and homely. Our first of poets was one of our first of men. He was an eminent instance to prove that a poet is not another name for the slave of power and fashion … who merely aspire to make up the pageant and show of the day. There are persons in common life who … can so little bear to be left for any length of time out of the grand carnival and masquerade of pride and folly, that they will gain admittance to it at the expense of their characters … Milton was not one of these. He had lofty contemplative principle, and consciousness of inward power and worth, [not] to be tempted by such idle baits. One of the pleasantest things in the world is going a journey; but I like to do it myself. I can enjoy society in a room; but out of doors, nature is company enough for me. I am then never less alone than when alone. "On Going on a Journey"
I cannot see the wit of walking and talking at the same time. When I am in the country, I wish to vegetate like the country. Give me the clear blue sky over my head, and the green turf beneath my feet, a winding road before me, and a three hours' march to dinner — and then to thinking! … I begin to feel, think, and be myself again. Instead of an awkward silence, broken by attempts at wit or dull common-places, mine is that undisturbed silence of the heart which alone is perfect eloquence. I should on this account like well enough to spend the whole of my life in travelling abroad, if I could anywhere borrow another life to spend afterwards at home. It is strange that people should take so much interest at one time in what they so soon forget; — the truth is, they feel no interest in it [news of the day] at any time, but it does for something to talk about. Their ideas are served up to them, like their bill of fare, for the day; and the whole creation, history, war, politics, morals, poetry, metaphysics, is to them like a file of antedated newspapers, of no use, not even for reference, except the one which lies on the table! You cannot take any of these persons at a greater disadvantage than before they are provided with their cue for the day. They ask with a face of dreary vacuity, 'Have you anything new?' — and on receiving an answer in the negative, have nothing further to say. We cannot by a little verbal sophistry confound the qualities of different minds, nor force opposite excellences into a union by all the intolerance in the world. … If we have a taste for some one precise style or manner, we may keep it to ourselves and let others have theirs. If we are more catholic in our notions, and want variety of excellence and beauty, it is spread abroad for us to profusion in the variety of books and in the several growth of men's minds, fettered by no capricious or arbitrary rules. The last sort I shall mention are verbal critics — mere word-catchers, fellows that pick out a word in a sentence and a sentence in a volume, and tell you it is wrong. The title of Ultra-Crepidarian critics has been given to a variety of this species. It is not easy to write a familiar style. Many people mistake a familiar for a vulgar style, and suppose that to write without affectation is to write at random. On the contrary, there is nothing that requires more precision, and, if I may so say, purity of expression, than the style I am speaking of. It utterly rejects not only all unmeaning pomp, but all low, cant phrases, and loose, unconnected, slipshod allusions. It is not to take the first word that offers, but the best word in common use; it is not to throw words together in any combinations we please, but to follow and avail ourselves of the true idiom of the language. To write a genuine familiar or truly English style, is to write as anyone would speak in common conversation who had a thorough command and choice of words, or who could discourse with ease, force, and perspicuity, setting aside all pedantic and oratorical flourishes... It is easy to affect a pompous style, to use a word twice as big as the thing you want to express: it is not so easy to pitch upon the very word that exactly fits it, out of eight or ten words equally common, equally intelligible, with nearly equal pretensions, it is a matter of some nicety and discrimination to pick out the very one the preferableness of which is scarcely perceptible, but decisive. Very trifling circumstances do give great and daily annoyance, and as often prove too much for our philosophy and forbearance, as matters of the highest moment. … The truth is, we pamper little griefs into great ones, and bear great ones as well as we can … To great evils we submit; we resent little provocations. Whatever is placed beyond the reach of sense and knowledge, whatever is imperfectly discerned, the fancy pieces out at its leisure; and all but the present moment, but the present spot, passion claims for its own, and brooding over it with wings outspread, stamps it with an image of itself. Passion is lord of infinite space, and distant objects please because they border on its confines and are moulded by its touch. There is (so to speak) "a mighty stream of tendency" to good in the human mind, upon which all objects float and are imperceptibly borne along; and though in the voyage of life we meet with strong rebuffs, with rocks and quicksands, yet there is a "a tide in the affairs of men," a heaving and a restless aspiration of the soul, by means of which, "with sails and tackle torn," the wreck and scattered fragments of our entire being drift into the port and haven of our desires! We can scarcely hate any one that we know. In art, in taste, in life, in speech, you decide from feeling, and not from reason … If we were obliged to enter into a theoretical deliberation on every occasion before we act, life would be at a stand, and Art would be impracticable. "On Genius and Common Sense"
"On the Past and Future"
I think it is a rule that men in business should not be taught other things. Any one will be almost sure to make money who has no other idea in his head. A college education, or intense study of abstract truth, will not enable a man to drive a bargain … The best politicians are not those who are deeply grounded in mathematical or in ethical science. Rules stand in the way of expediency. Many a man has been hindered from pushing his fortune in the world by an early cultivation of his moral sense. "On the Disadvantages of Intellectual Superiority"
They [universities] may be said to resemble antiquated coquettes of the last age, who think everything ridiculous and intolerable but what was in fashion when they were young, and yet are standing proofs of the progress of taste and the vanity of human pretensions. Our universities are, in a great measure, become cisterns to hold, not conduits to disperse knowledge. … they can only be of service as a check-weight on the too hasty and rapid career of innovation. … The unavoidable aim of all corporate bodies of learning is not to grow wise, or teach others wisdom, but to prevent any one else from being or seeming wiser than themselves. Reputation runs in a vicious circle, and Merit limps behind it, mortified and abashed at its own insignificance. It has been said that the test of fame or popularity is to consider the number of times your name is repeated by others … So, if you see the same name staring you in the face in great letters at the corner of every street, you involuntarily think the owner of it must be a great man to occupy so large a space in the eye of the town. The appeal is made, in the first instance, to the senses, but it sinks below the surface into the mind. There are various ways of playing one's-self off before the public, and keeping one's name alive. The newspapers, the lamp-posts, the walls of empty houses, the shutters of windows, the blank covers of magazines and reviews, are open to every one. "On the Feeling of Immortality in Youth"
Perhaps the best cure for the fear of death is to reflect that life has a beginning as well as an end. There was a time when we were not: this gives us no concern — why then should it trouble us that a time will come when we shall cease to be? "On the Fear of Death"
There are names written in her immortal scroll, at which FAME blushes! The world judge of men by their ability in their profession, and we judge of ourselves by the same test; for it is on that on which our success in life depends. A grave blockhead should always go about with a lively one — they shew one another off to the best advantage. This Journal, then, is a depository for every species of political sophistry and personal calumny. There is no abuse or corruption that does not there find a jesuitical palliation or a bare-faced vindication. There we meet the slime of hypocrisy, the varnish of courts, the cant of pedantry, the cobwebs of the law, the iron hand of power. Its object is as mischievous as the means by which it is pursued are odious. For my own part, as I once said, I like a friend the better for having faults that one can talk about. "On the Pleasure of Hating"
"Whether Genius is Conscious of its Powers?" "On the Difference Between Writing and Speaking"
"On the Spirit of Obligations"
So have I loitered my life away, reading books, looking at pictures, going to plays, hearing, thinking, writing on what pleased me best. I have wanted only one thing to make me happy, but wanting that have wanted everything. "On the Qualifications Necessary for Success"
"On the Look of a Gentleman"
Happy are they who live in the dream of their own existence, and see all things in the light of their own minds; who walk by faith and hope; to whom the guiding star of their youth still shines from afar, and into whom the spirit of the world has not entered! They have not been "hurt by the archers", nor has the iron entered their souls. The world has no hand on them. If I have not read a book before, it is, to all intents and purposes, new to me, whether it was printed yesterday or three hundred years ago. Horus non numero nisi serenas—"I count only the hours that are serene"—is the motto of a sundial near Venice. There is a softness and a harmony in the words and in the thought unparalleled. But there is an unseemly exposure of the mind, as well as of the body. Again, there is a heroism in crime as well as in virtue. Vice and infamy have also their altars and their religion. Defoe says, that there were a hundred thousand stout country-fellows in his time ready to fight to the death against popery, without knowing whether popery was a man or a horse. But fashion is the abortive issue of vain ostentation and exclusive egotism: it is haughty, trifling, affected, servile, despotic, mean and ambitious, precise and fantastical, all in a breath — tied to no rule, and bound to conform to every whim of the minute. "On Knowledge of the World"
Good temper is one of the great preservers of the features. His manners are to 99 in 100 singularly repulsive—; brow-hanging, shoe-contemplative, strange. … he is, I verily believe, kindly-nature; is very of, attentive to, and patient with children; but he is jealous, gloomy, and of an irritable pride — and addicted to women, as objects of sexual indulgence. If Samuel Johnson was the more deliberate aphorist, Hazlitt was the more self-conscious literary architect. You quote lines from Johnson; you want to recite entire passages from Hazlitt. John Lamb (the brother of Charles) once knocked down Hazlitt, who was impertinent to him; and on those who were present interfering and begging Hazlitt to shake hands and forgive him, Hazlitt said, "Well, I don't care if I do. I am a metaphysician, and do not mind a blow; nothing but an idea hurts me." The miscreant Hazlitt continues, I have heard, his abuses of Southey, Coleridge and myself, in the Examiner. — I hope that you do not associate with this Fellow, he is not a proper person to be admitted into respectable society, being the most perverse and malevolent Creature that ill luck has ever thrown in my way. Avoid him — hic niger est — And this, I understand, is the general opinion wherever he is known in London.